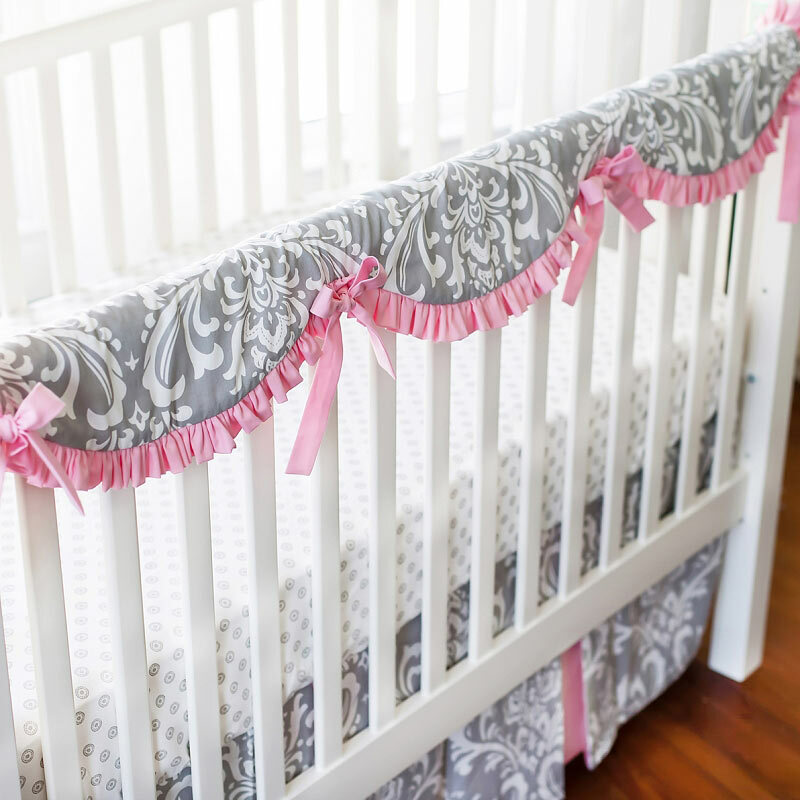 The Stella Gray Crib Rail Guard is made of our Wisteria in Slate damask fabric with pink ruffle and ties. 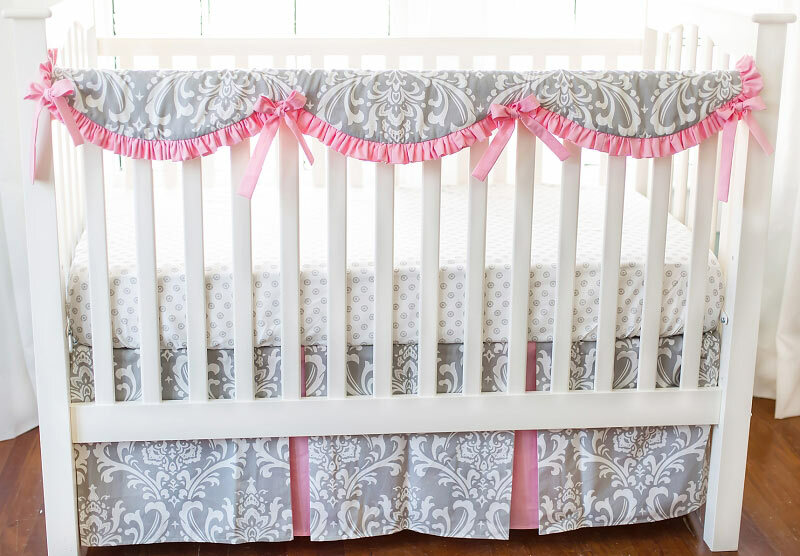 Scalloped crib rail guard design is sweet and whimsical and perfect for a baby girl's nursery! 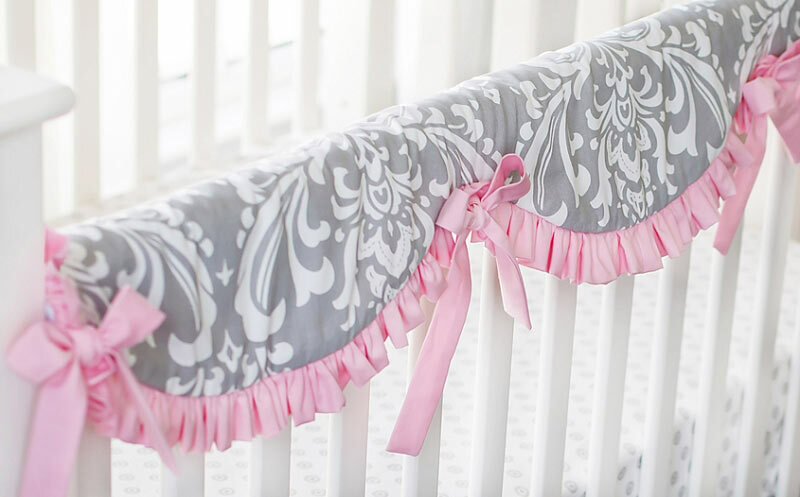 Our pink and gray crib rail cover set is from our Stella Gray Crib Collection. 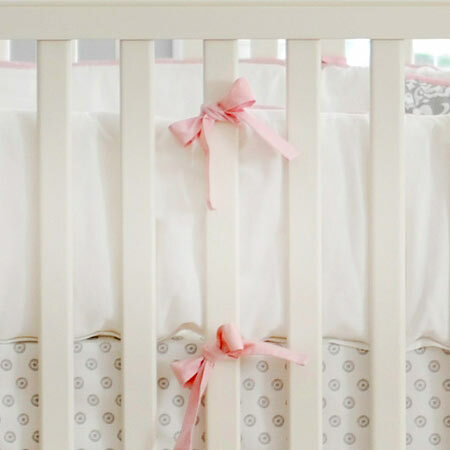 Purchase the crib rail cover alone, or order the 2 Piece Set (crib sheet and crib skirt), 3 Piece Set (crib rail cover, crib sheet and crib skirt) or the 4 Piece Set (crib rail cover, crib sheet, crib skirt and baby blanket). 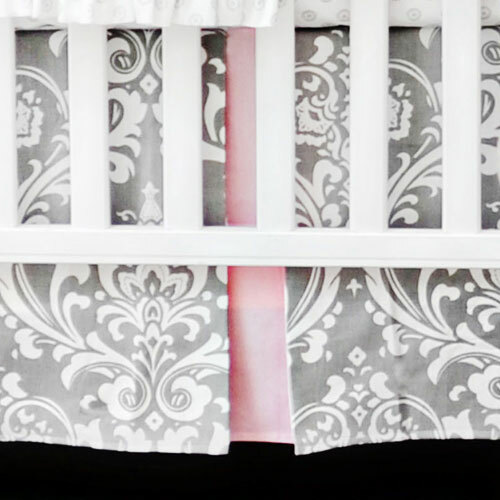 Our Crib Rail Covers are a great option for bumperless designed crib bedding, and the cover will keep your baby from chewing on the crib. 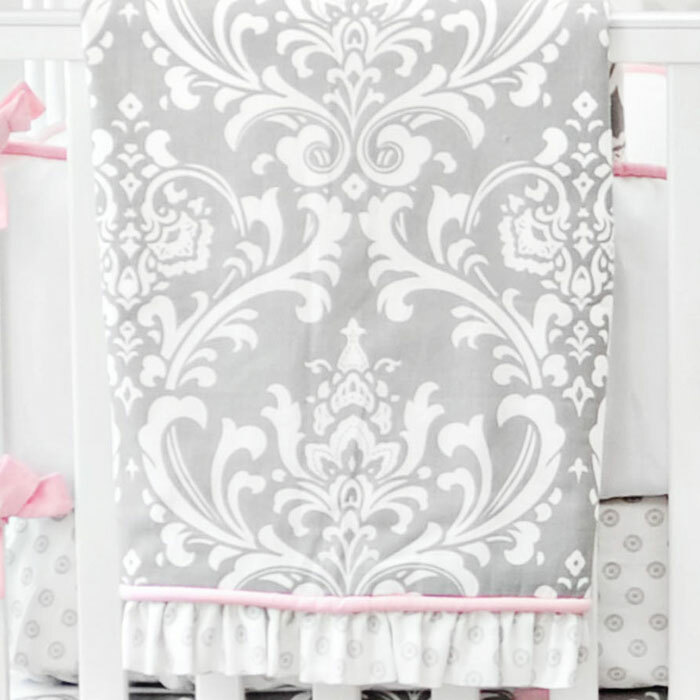 Pink and gray baby bedding is classic for a girl's nursery. • Scalloped Crib Rail Cover Dimensions: 51" long by 11" deep. 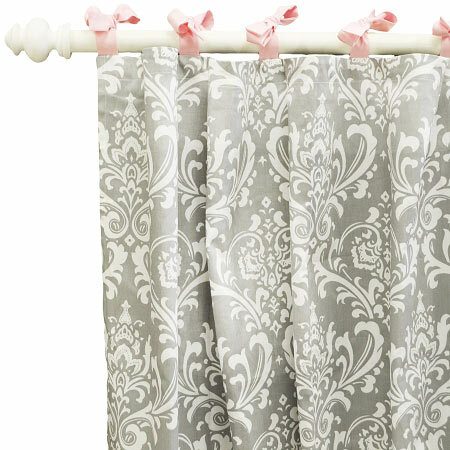 • Pink and Gray Damask Crib Skirt drop length is 17". • Pink and Gray Crib Blanket is 36" by 36". 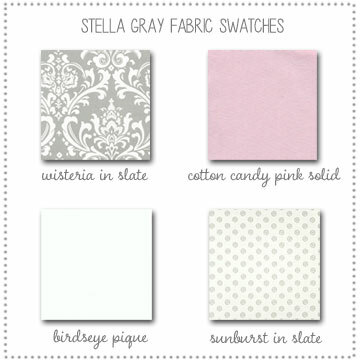 If you prefer a crib bumper for this set, please see our Stella Gray Baby Bedding. 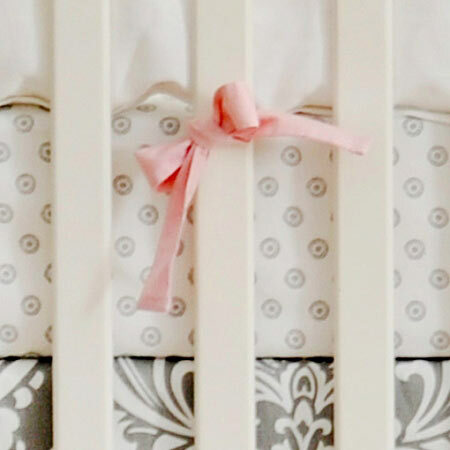 Coordinate your pink & gray crib rail cover with accessories shown below. Crib Rail Cover made in the USA.